PIC: Dom Dinel, an architect and owner of a modest home says he wouldn’t have bought his property had the heritage listing been prescribed at the time of purchase. Inset: The Federal Group’s Wrest Point hotel. TTN, 25th June 2015: Hobart City Council have made a garish move by adding 1500 properties to their heritage register without the property owner’s knowledge. The listings prevent many types of development of the properties and in many cases make the properties unsaleable. Even basic homes, like Dom Dinel’s pictured above, were added in what appears to be a strategic development line for the council/ state government. The Council could have succeeded in quietly treading on the rights of 1499 property owners – but only the The Federal Group – developers, casino operators, owners of the Wrest Point (inset) and major political players – are big enough to take the council to the Supreme Court over their property’s involuntary inclusion on the list. Dom Dinel notes that many of the odd heritage inclusions follow the boundary line of West Hobart. Any planner, political operative or… ahem, journalist… could tell you the council are earmarking the properties for a future potential sale. When properties like Dinel’s are unable to be developed by the owner, and subsequently become unappealing to the general real estate market, the state government or council don’t get any road blocks when they want to purchase the properties, at low prices, for other use. 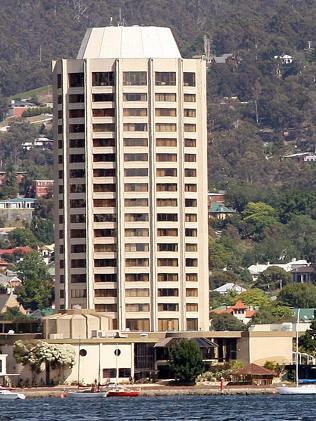 Wrest Point Casino has been added to the Hobart City Council’s heritage register. THE State Government is not commenting on legal action Federal Group is taking against the Government and Hobart City Council following the company’s Wrest Point site being heritage listed. “As this matter is currently before the court it isn’t appropriate to comment,” Treasurer Peter Gutwein said. The Mercury was unable to contact Hobart Lord Mayor Sue Hickey. Hobart City Council added 1500 properties to its heritage register without the owners’ knowledge last month. Under the Land Use Planning and Approvals Act 1993, property owners do not need to be notified when their properties are added to the list. Council general manager Nick Heath has said inclusion on the register would ensure the conservation of buildings of scientific, aesthetic, architectural or historical interest. Mr Gutwein last month urged Hobart property owners who believed their property had been negatively affected by heritage listing to complain to the Tasmanian Planning Commission. The Federal Group case is expected to go to the Supreme Court next month. Dom Dinel unknowingly had his house heritage listed when the new Hobart Interim Planning Scheme came into effect. HOBART resident Dom Dinel would not have bought his 1960s weatherboard house if he had any idea it would be added to the heritage register. 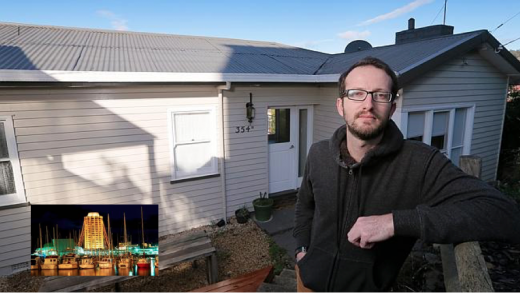 The 31-year-old, who works in the architecture industry, bought his Liverpool St house two years ago and discovered last month it had been added to the Hobart heritage register without his knowledge. Hobart City Council added 1500 properties to its heritage register without telling the owners last month when its Interim Planning Scheme came into effect. Mr Dinel said if it had been registered prior to him buying it, he would not have purchased the property. “I wouldn’t want to get involved with the sort of restrictions they might impose on the house if I wanted to do any modifications,” he said. The council revealed the 1500 properties added to the list were of “historic cultural heritage significance” and had been declared as a result of a plethora of heritage studies and reports. Council general manager Nick Heath said inclusion on the register would ensure the conservation of those buildings, which are of scientific, aesthetic, architectural or historical interest, or otherwise of special cultural value. Mr Dinel said it seemed on closer inspection that some areas had been added regardless of the characteristics of every house in the zone. Property Council of Australia Tasmanian executive director Brian Wightman yesterday stuck by his original comments for the council to immediately remove the properties, with fears the listings could reduce property values. “We wrote to the council in early June and we’re eagerly awaiting a response,” he said. Public display of the Hobart Interim Planning Scheme 2015 and the representation period is until July 13. 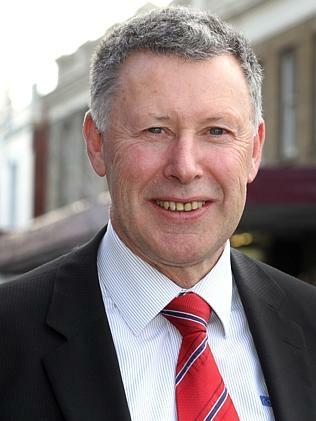 LOCAL Government Minister Peter Gutwein is urging Hobart property owners who believe their property has been negatively affected by heritage listing to complain to the Tasmanian Planning Commission. The Hobart City Council has added 1500 properties to its heritage register without the owners’ knowledge. 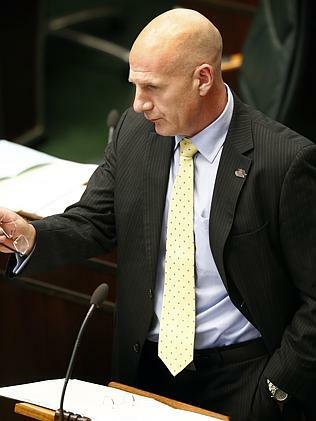 “I understand that this matter is concerning many property owners and I would urge those owners who believe their property has been negatively affected by this decision by the Hobart City Council to make a representation to the TPC,” Mr Gutwein said. 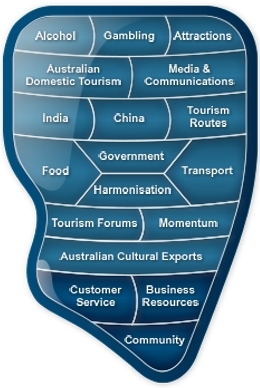 “I recognise both the challenge and the opportunity that a heritage listing presents. HCC general manager Nick Heath said there was no requirement under the Land Use Planning and Approvals Act for the council to notify property owners individually when their properties were placed on the council’s heritage list. But Mr Heath said consultation had taken place. Real Estate Institute of Tasmania president Tony Collidge said all property owners should be told if their property was added to a heritage list. “I would think out of courtesy, they would notify the person because it does have implications,” Mr Collidge said. Mr Collidge said the restrictions could hinder the sale of a property and he urged Hobart aldermen to consider how they would feel if their homes were placed on a heritage register without their knowledge. The HCC says heritage listing does not mean a property cannot be changed, but modifications would be “thoroughly assessed to ensure the heritage characteristics of the property are not lost”. The council also advises those who own a property that is heritage listed or in a heritage area that they would probably need to obtain planning approval for use or development of the site. HOBART City Council has added 1500 properties to its heritage register without the owners’ knowledge. Property Council of Australia Tasmanian executive director Brian Wightman has called on the council to immediately remove the properties “to provide procedural fairness” with fears the listings could reduce property values. “Property owners and investors oblivious to these outrageous changes have been caught in a culture of over-regulation,” Mr Wightman said. The council had revealed another 1500 properties were of “historic cultural heritage significance” as a result of the Interim Planning Scheme being declared, he said. Hobart City Council general manager Nick Heath yesterday said property owners did not need to be notified when their properties were added to the list. But he said consultation had taken place. “There is no requirement under the Land Use Planning and Approvals Act 1993 to individually notify all property owners when a new planning scheme comes into operation or is placed on public exhibition,” he said. 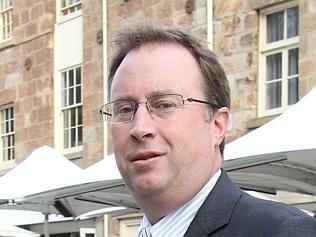 The expansion of the list follows state Heritage Minister Matthew Groom ordering a review of the Tasmanian Heritage Register in a bid to ensure that it has “integrity and credibility” and “is focused on the places that are important to the whole of Tasmania for present and future generations”. Mr Heath said inclusion on the new Hobart register would mean that places should be conserved (unless there are overriding circumstances) and that new development should be in keeping with the heritage values of the place. “Council has an obligation under the objectives of the Land Use Planning and Approvals Act 1993 to conserve those buildings, areas or other places which are of scientific, aesthetic, architectural or historical interest, or otherwise of special cultural value,” he said. Mr Wightman said a handful of owners and investors would recall previous suggestions that their property be heritage listed. “However, given nothing ever eventuated, they will find their inclusion in the interim scheme, effective immediately, quite a shock,” he said. Public display of the Hobart Interim Planning Scheme 2015 will be from May 30-July 13.